THE NUMBER of property sales during November rose 39 per cent compared to November 2016 according to official statistics published by the Department of Lands and Surveys earlier today. This rise follows a rise of 18% in October, an 8% rise in September, and a 27% rise in August. During November a total of 906 contracts for the sale of residential and commercial properties and land (building plots and fields) were deposited at Land Registry offices across Cyprus, compared with the 651 deposited in November 2016. Sales rose in all districts. In percentage terms Famagusta led the way with sales up by 174% and sales in Nicosia (the capital) up by 98%. Meanwhile sales in Larnaca, Limassol and Paphos rose by 32%, 29% and 16% respectively. During January to November the number of contracts for the sale of property deposited at Land Registry offices has risen 21% to 7,197 compared to the same period last year. 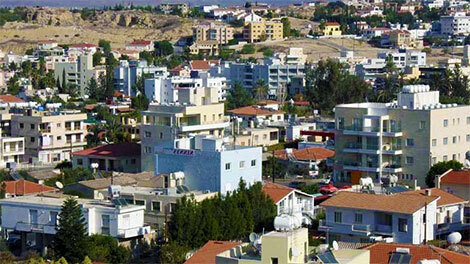 Although sales in Larnaca have fallen by 4%, they have improved in the other districts. Sales in Famagusta are up 32%, sales in Nicosia are up 31% and sales in Limassol and Paphos are up 28% and 26% respectively. Property sales have been encouraged by the reduction in Property Transfer Fees, the abolition of Immovable Property Tax. Non-EU citizens wishing to obtain residency or a Cypriot passport are taking advantage of two government schemes. Thx – keep us posted.. Thanks for commenting. Do you know if and/or when the Dept of Land & Surveys will do this? Ed: No, but hopefully next week. Be interesting to see what portion of these rises are the Chinese lodging the last desperate sales before their Government shut down this ‘property for passports’ scheme for good. Ed: The Dept. of Lands & Surveys has yet to publish the number of overseas buyers.